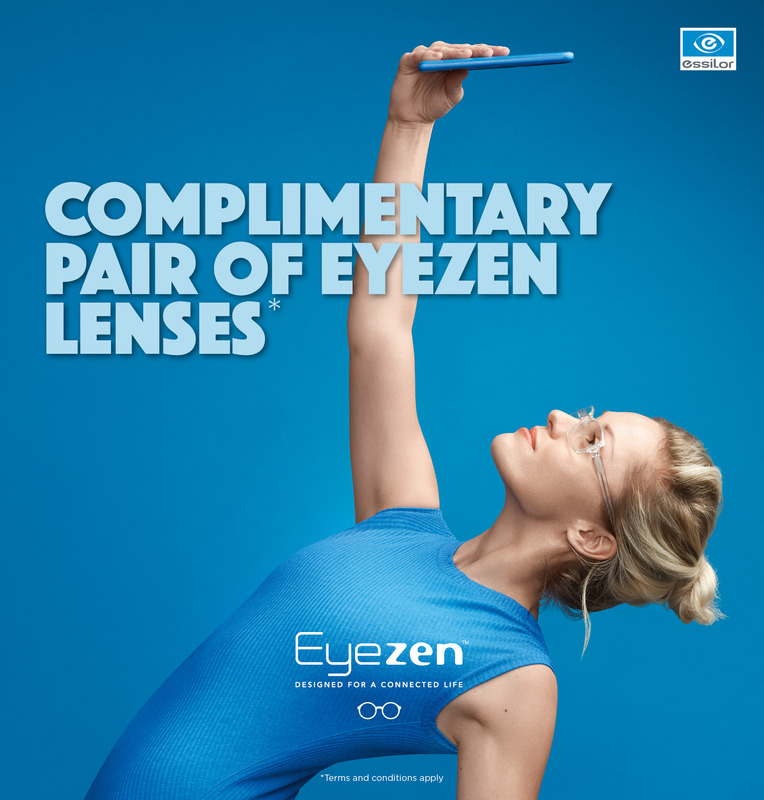 Get a FREE second pair of EyeZen lenses when you purchase any frame with Eyezen lenses in your first pair. Offer valid 1st Feb 2019 – 31st Dec 2019, Terms and conditions apply. Digital devices are shaping the way we live. They allow us to learn, work, play, socialise and even more! This connected life creates new standards and we need lenses to support us. Using screens can be hard on your eyes as they have to switch from variable distances and read pixelated characters. Eyezen is a single vision corrective lens design. It delivers sharper vision than ordinary single vision lenses and helps prevent and reduce eyestrain. Eyezen is available to everyone – whether you have a prescription or just want a pair of glasses for lenses for your daily digital screen usage. Reduced Eyestrain and digital fatigue. Whether you use digital devices for socialising, work or both looking at a device at a close distance it takes a toll on your eyes making them work harder and can cause visual fatigue. No Prescription? You can still benefit from Eyezen. If you do not require a prescription, you can still take advantage of Eyezen corrective lenses technology. Keep your focus with Eyezen by preventing and reducing eyestrain when using digital devices. Wearing Eyezen lenses also means you get to wear those cool frames you’ve always wanted.